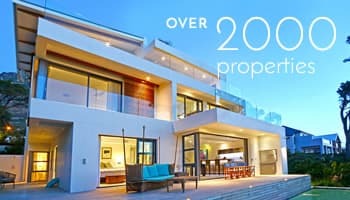 De Waterkant luxury vacation rentals are spacious, affordable and will leave you feeling like you’ve indulged in the best Cape Town has to offer. Isn’t luxury supposed to feel this good? A peek outside your window reveals the characteristic urban landscape of architecturally distinct buildings, between bright evergreen trees and the looming presence of Table Mountain, a natural wonder of the world. If you’re lucky, you can see the ocean and harbours from your balcony in this eclectic city area, where the young at heart prefer to holiday in Cape Town. Why Holiday in De Waterkant? If you are searching for a vibey area within the Cape Town CBD that will keep you busy during your next vacation, De Waterkant can be that neighbourhood. A mix of imposing city skyscrapers and privately owned luxury villas, this area is the definition of cosmopolitan. Here, De Waterkant vacation rentals invite you to experience the city like one of its diverse residents. Before you choose your ideal holiday home, you should gain a better idea of the various property types you can rent in this exciting urban area. Urban high-rise apartment rentals: Rent a luxury, air-conditioned apartment in one of Cape Town’s famous high-rise buildings. Fully furnished with modern décor, these spaces have top-notch security and some of the best views you will find. De Waterkant Villas: Near the urban high-rises is a village straight out of the 1760’s, with a European flair and contemporary interiors. 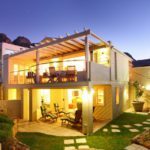 Rent one of these urban villas for a truly unique stay that lends itself to the complete Cape Town experience. Spend some time searching for De Waterkant luxury vacation rentals that inspire you, and secure one for your next Cape Town holiday. Your urban journey begins with one of these fine rentals!